Chancellor Angela Merkel is pushing Germany’s businesses to hire more refugees. She summoned the heads of top companies, including Siemens, Daimler and Bosch, to a meeting in Berlin. Merkel urged faster integration but also asked them what the government can do to help integrate refugees into the workforce faster. The bosses cited problems including a lack of German-language skills and the inability of most refugees to prove any qualifications. In addition there is uncertainty about their permission to stay in the country and delays through bureaucracy. Early optimism that the wave of migrants might boost economic growth and help ease Germany’s skills shortage is evaporating. Deutsche Post is one of the few that has taken on refugees to sort and deliver letters and parcels. The company has employed just over 100 according to CEO Frank Appel, but more than one million migrants arrived in Germany last year, with another 300,000 expected this year. Germany certainly needs workers – it has the lowest birthrate in Europe and record low unemployment with major skills shortages. The working-age population is projected to shrink by six million people by 2030. But the company bosses told Merkel it will take time. 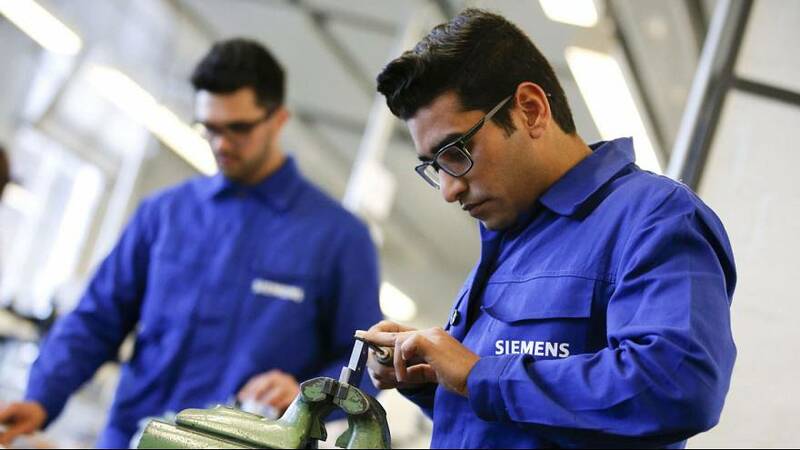 A German business integration initiative called ‘Wir Zusammen’ or ‘We Together’ said it has initiated 3,800 internships and more than 750 training posts, plus almost 500 permanent jobs. Germany’s Federal Employment Office said that in August 346,000 asylum seekers were looking for work.